← Milícias no Rio de Janeiro metropolitano: o que fazer? Paramilitary gangs, known here as milícias, are spreading, from de Angra dos Reis, south of Rio de Janeiro, up to the northern state line with Espírito Santo. They run Rio’s West Zone, are getting into drug trafficking, invade public housing projects, have an effective intelligence network of project building managers and minivan drivers, and function within the corps of Rio’s police at the highest levels. Bus companies cannot compete with minivan fleets controlled by milicianos. The number of disappeared persons cases is increasing in the West Zone. In cities adjacent to Rio on its northern flank, in the Baixada Fluminense, milicianos double as mayors and city councilmen — and they kill. There is no strategic plan to retake territory from the gangs, which are the closest of any group in Rio today to Italy’s Mafia. 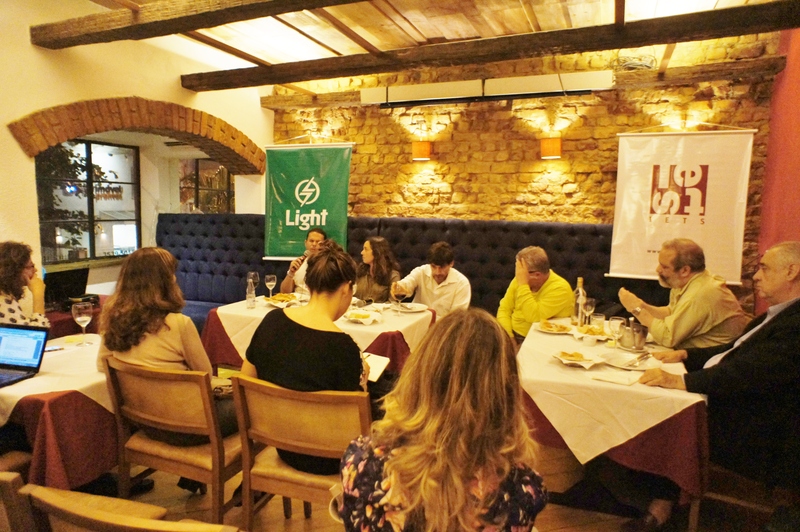 Some of Rio’s top specialists regarding paramilitary gangs met this week, upstairs at the Osteria dell’Angolo restaurant, for yet another session of the OsteRio debate series, organized by Iets, a think tank, and the Light electric energy concession. 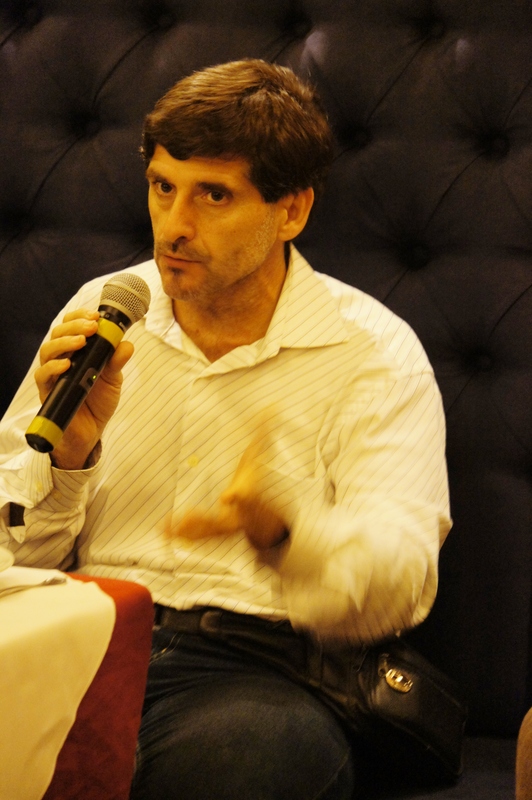 Ignacio Cano, a Uerj professor who’s studied the milícia phenomenon since the mid-2000s, recounted its history and dynamics. O Globo journalists Elenice Bottari and Sérgio Ramalho, who’ve long covered the subject, spoke of more recent events. Last month, the paper published a series of stories on milícias and plans to return to them after the elections. Paulo Magalhães, a Iets researcher now focusing on milícias that take over new units of the federal Minha Casa Minha Vida federal housing program, shared frightening news about this. Program beneficiaries who yield an apartment to the gangs lose their chance to receive another one at a safer location. Possibly the only good piece of news heard at the OsteRio was about the “you can’t do this any more” message (as described by one of the speakers) sent to Rio de Janeiro police as a result of the September 15 arrest of Colonel Alexandre Fontenelle, who held the post of Special Operations Commander of the Rio state Military Police. For now, Fontenelle hasn’t been accused of the newly defined crime of milicia activity. However, given the nature of the evidence and the formal accusations of extortion and bribe-taking, those present said that Fontenelle is a gang member. One participant noted that the whole city, not only the West Zone, relies on private security personnel, some professionals, working under government supervision, others not. In his opinion, we need to change our overall public safety framework in order to sipe out paramilitary gangs. But other measures can be taken. Shall we work together with the future governor or Rio de Janeiro state, to put these items into practice? This entry was posted in Brasil, Transformation of Rio de Janeiro / Transformação do Rio de Janeiro and tagged coronel Alexandre Fontenelle, Elenice Bottari, IETS, Ignacio Cano, O Globo militia coverage, OsteRio, Paulo Magalhães, Rio de Janeiro militias, Sérgio Ramalho. Bookmark the permalink.